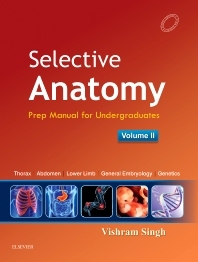 The book has been written by virtue of the completely restructured curriculum of anatomy. It is designed into two volumes especially to meet the needs of students pursuing undergraduate medical courses. It is also useful to dental, paramedical, and nursing students.